In a bowl, combine mayonnaise, vinegar, honey, poppy seeds, salt and pepper. Refrigerate until ready to use. This can be prepared up to 2 days ahead. If cooking your own chicken (instead of using a rotisserie chicken), preheat the oven to 375°. Place the chicken breasts in one layer in a baking dish with 1/2 cup water. Cover with foil and bake 25 minutes or until completely cooked through. Remove cooked chicken breasts from pan, cool at room temperature for 10 minutes, then cover and refrigerate. Shred or dice chicken into bite-size chunks and transfer to a large bowl. Stir in pecans, grapes, celery and dressing. 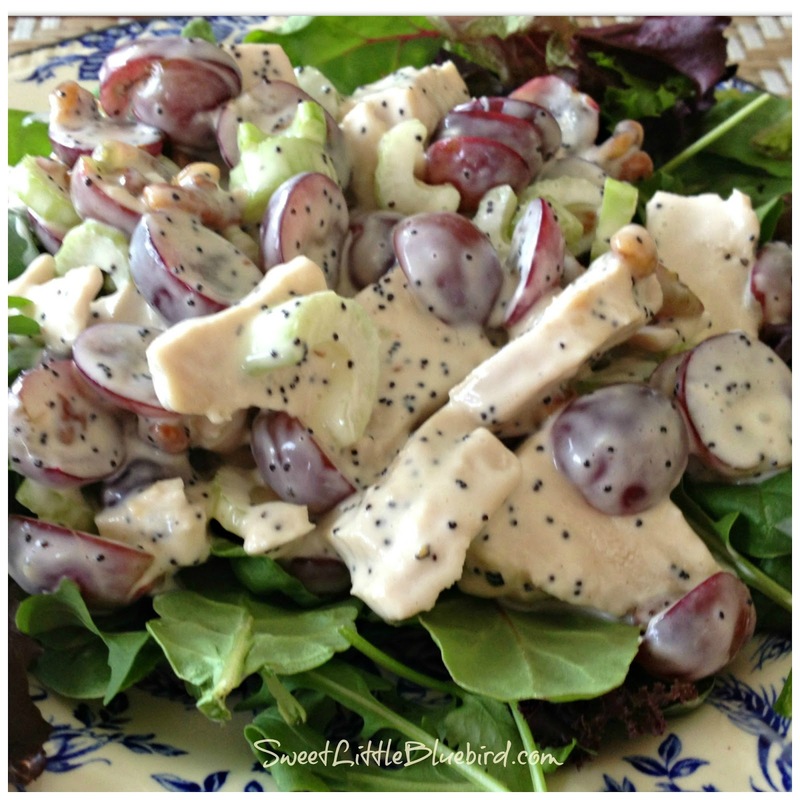 Serve over spring salad mix and enjoy!